Carousel Checks was founded in 2003 based in Chicago, Illinois. In the beginning, the family-owned business was named Parker Machines. 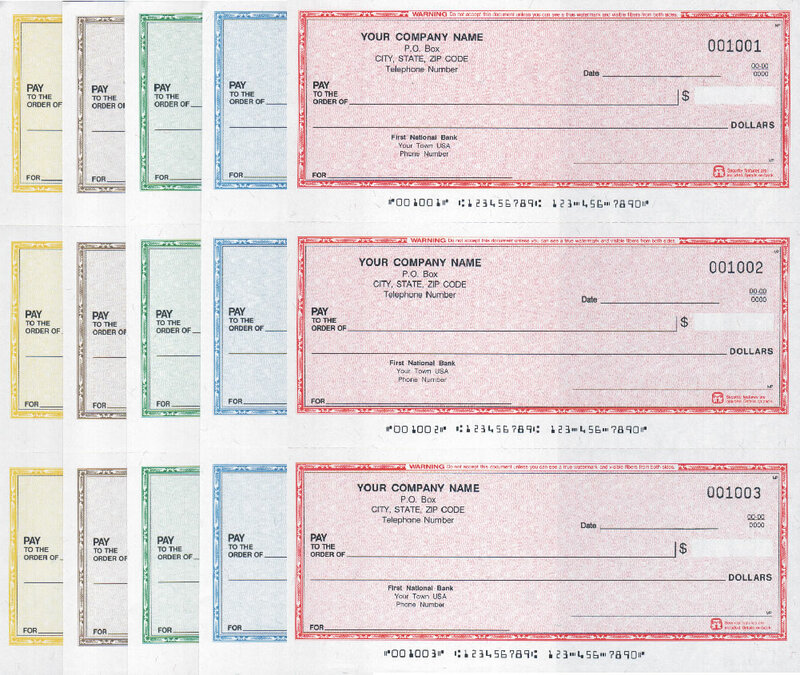 It wasn't until later that the company started specializing in printing checks that it changed its name to Carousel Checks. In addition to personal checks, the company also offers computer and business checks as well as a range of accessories. Their mission is to become the go-to place for those seeking high-quality financial products and documents. The company's official website is located at carouselchecks.com. Here they offer many great offers and deals, which can be claimed by using special Carousel Checks coupons. We keep an up to date list of these here at Coupofy so you're sure to make savings whenever you order. If you have your own website or blog, then you may also want to check out the Carousel Checks affiliate program. If you send relevant visitors who end up buying something, then you can earn between 25% and 35%. The cookies last up to six months. If you browse the Carousel Checks website, then you will find three main types of products to buy. They include personal, business, and laser checks. If you're shopping for a personal check, then you can upload a custom photo to print on its background. Other options as far as personal checks go include stylistic designs, designs from licensed artists, and value-priced checks. You can also get designs that include top stub, side tear, and end stub parchment checks. In addition to buying personal checks, you can also buy various accessories that's needed for check users. You'll need checkbox covers, deposit tickets, check registers, and address labels. Self-inking stamps are also available for sale. 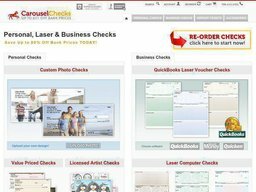 Another major product category that Carousel Checks offers is laser checks. This particular type offers various security features. They include a padlock icon, invisible fluorescent fibers, heat-sensitive icons, coin-reactive ink, and microprinting. Business consumers will find something for them on the website too. Types offered include computer, pocket, and manual checks. The company has numerous designs. However, some of the designs they utilize on their checks from from studios or artists. If you wish to redeem a Carousel Checks coupon code the process is very simple. Just copy the code from the offer you want to use on Coupofy, and then paste it in to the promotional box ahead of payment. If done correctly you should see a confirmation message and your total order cost should drop. The company ships its products to every U.S. state as well as the Virgin Islands and Puerto Rico. However, you can't get items shipped to a P.O. Box. Shipping prices vary greatly depending on the type of checks ordered and the amount ordered. Options include Bulk Mail, Basic Mail, Ground. 2 Day, and Overnight. Basic Mail may be offered for free from time to time if you use the appropriate Carousel Checks coupon code at checkout. You have three weeks to ask Carousel Checks for a refund on your purchase. A restocking fee of 25% of the order total will be charged unless there was a defect of some sort. If a defect is present, then your order will be replaced or refunded without any cost to you. It's important to note that if you make a custom order, then you won't be able to return it. @yydenis Oops! We've fixed the typo. Thanks for letting us know!